Here’s a quick lesson on what NOT to do in an argument. 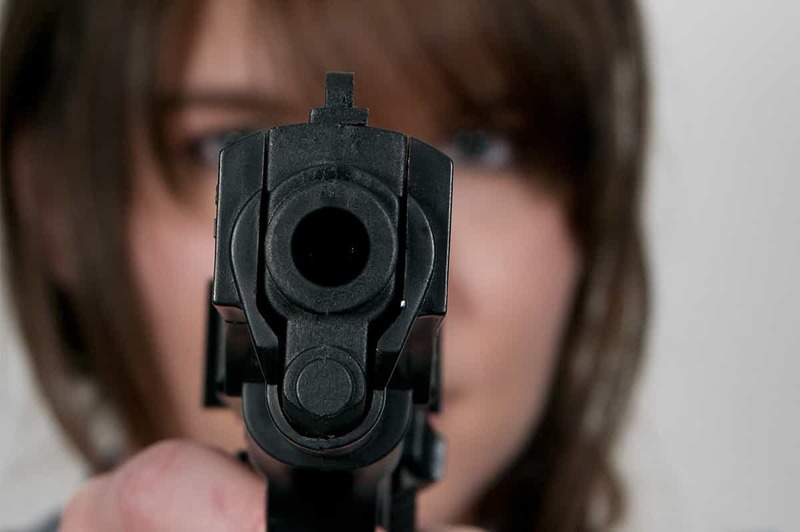 A resident of Youngstown, OH, Tonya Woolensack, was charged with felony tampering with evidence and misdemeanor counts of aggravated menacing and carrying a concealed weapon after brandishing her pistol during an argument in Boardman Park. A man was walking with his girlfriend and his dog when another man’s unleashed dog ran up and started to fight with his dog. The two men got into an argument over the dog fight. That’s when Tonya appeared, pulled her pistol and threatened to shoot the man whose dog was attacked. Unfortunately this woman did have a concealed carry license. It was expired but she was still in the grace period to have it renewed. She then wrapped the pistol in a coat, stuffed it in a backpack and initially denied having a gun when questioned by the police. I’m pretty sure she knew she was in the wrong. We’ve written multiple articles on brandishing, What Does Brandishing Mean? And Why You Should Never Do It and Brandishing and Improper Exhibition of a Firearm to name a few. Just remember, you need to feel that your life is in danger before pulling your firearm. Verbal arguments are not a reason to pull your pistol and threaten to shoot someone. Please don’t give concealed carriers a bad rep like this woman. Next articleShould Concealed Carriers Be Crime Fighters?